If you are interested in registering for this tour contact me via the contact form and I will respond quickly with the details you need to make your deposit and register. 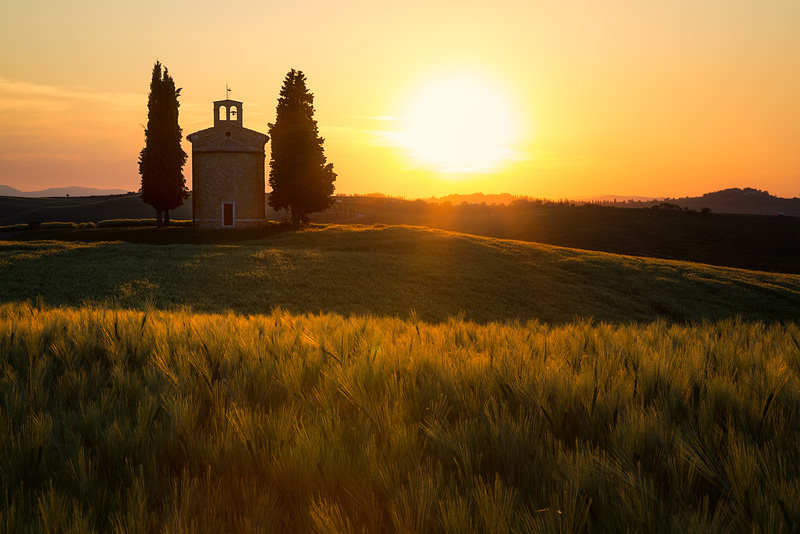 Fortified medieval towns, golden mists in the morning, cobblestone streets, artistic stands of trees, awe inspiring cathedrals -- all of these are Tuscany plus a whole lot more. 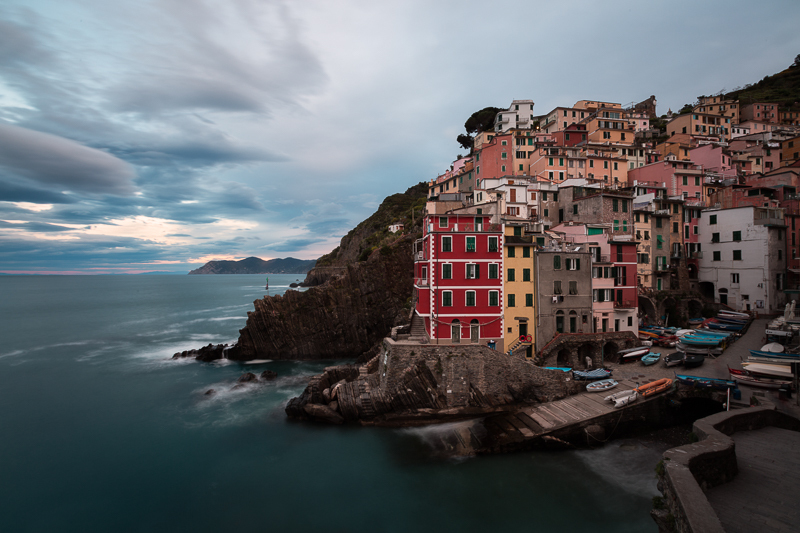 Combine the Tuscan experience with the stunning Cinque Terre Coast, where five colorful villages hug rocky cliffs above the deep blue sea and you've got an Italian experience that will thrill anyone who loves photographing beauty, history, culture and art. Join veteran photographer and tour leader Jim Zuckerman and Ken Koskela for a photography tour that offers some of the best photographic opportunities in Europe. We will take advantage of the best lighting early and late in the day to offer opportunities to capture beautiful images. This is not a trip to be missed! Day 2 - October 16, Monday (Cinque Terre) - After breakfast, transfer to the train station and head for La Spezia, which is the gateway for Cinque Terre. We check into our hotel which is walking distance from the station, have lunch, and then hop on a train for the short ride to one of the iconic villages of Cinque Terre - Manarola. We explore the village and its' beautiful multi-colored houses built into the cliff face. 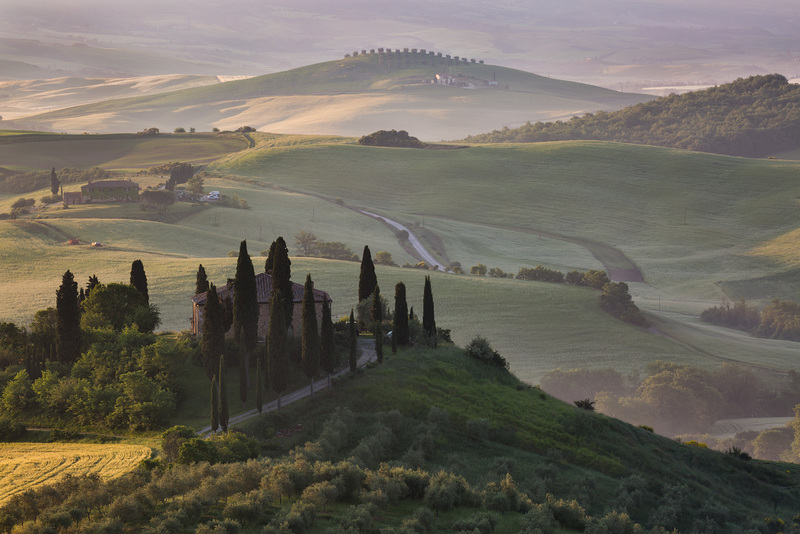 At dusk, we position ourselves to take one of the most beautiful photographs in Italy. We can linger through the twilight hour and then head back to La Spezia. Overnight La Spezia. Day 3 - October 17, Tuesday (Cinque Terre) - We begin the day with sunrise at Riomaggiore, another beautiful village, followed by breakfast. You'll want to pay attention to myriad photogenic details in the village, such as colorful mailboxes, doorways and windows. We then return to the hotel and have a presentation on post-processing techniques. We have lunch and then head to Vernazza where you can gain a dramatic elevated perspective by climbing a well-worn trail up the mountain. From here, sunset and twilight is breathtaking. Overnight La Spezia. 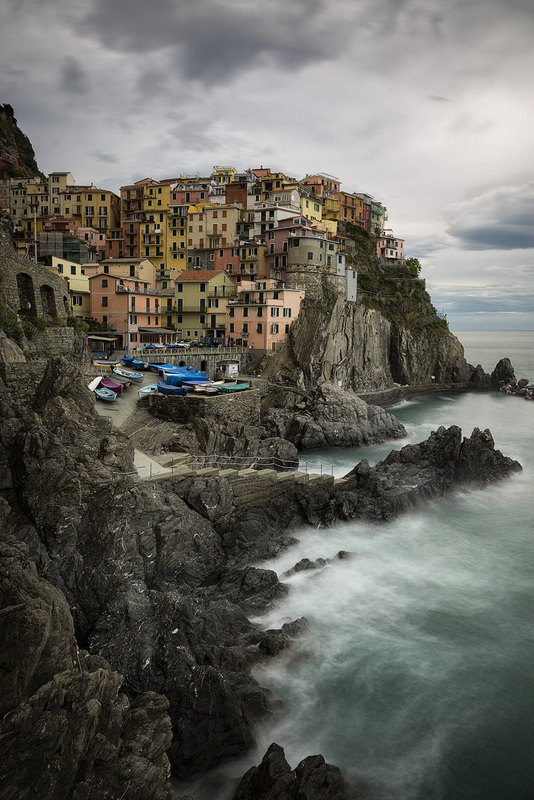 Day 4 - October 18, Wednesday (Cinque Terre & Tuscany) - We begin the day with a sunrise shoot at Manarola. This is the second shoot in this location as it increases our chances at favorable photography conditions. After breakfast, we say goodbye to Cinque Terre and take the train back to Florence to pick up our vans for Tuscany. 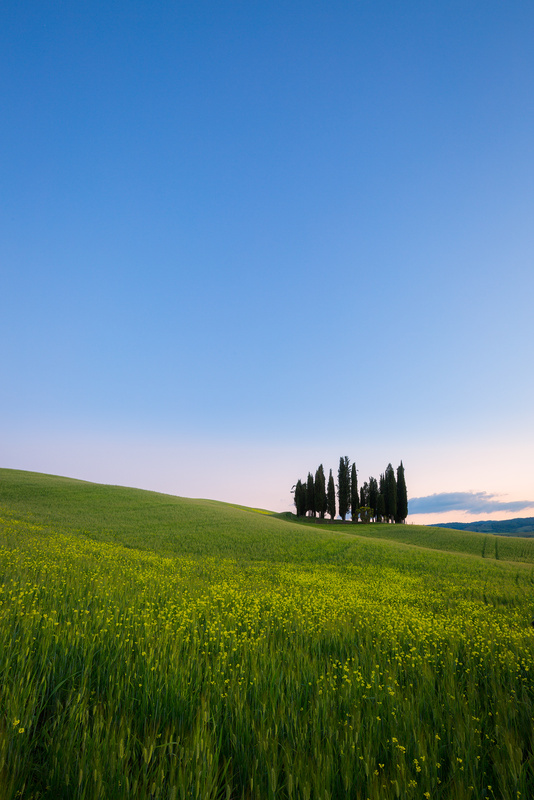 From Florence, we drive about 2 hours to Val D'Orcia in the heart of Tuscany and check into our perfectly situated hotel in the late afternoon. Depending upon the time of arrival, we will either have dinner and then photograph the sunset from a beautiful location, or take pictures first and then have dinner. If weather conditions are favorable, we can have an optional night shoot. 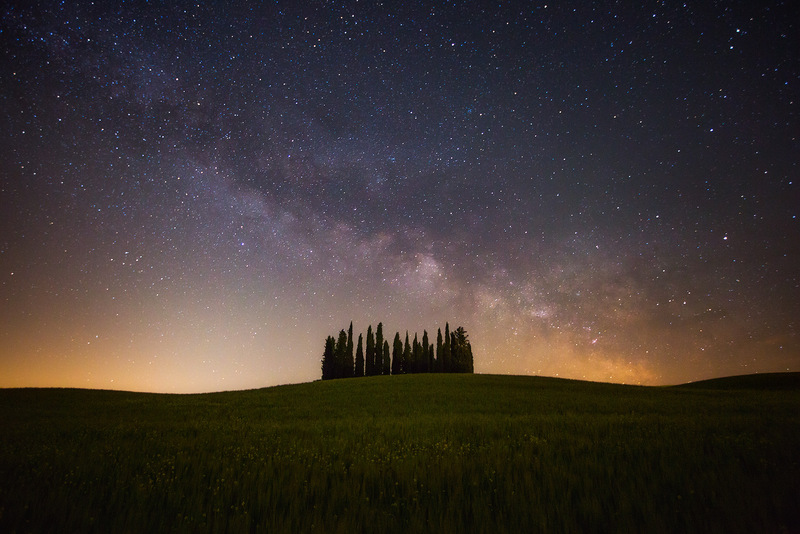 Overnight Val D'Orcia. Days 5-7 - October 19-21, Thursday-Saturday (Tuscany) - One of the reasons Tuscany is famous among photographers is that it offers stunning compositions everywhere: isolated stands of trees, winding roads, lone farmhouses, and distant misty mountains. These are the subjects we'll be focused on. We will also visit Pienza and Siena, towns that offer classic Italian scenes as well as beautiful Medieval architecture. We take advantage of the blue hour, sunrise and sunset to make our images as visually powerful as possible. We will take some time to head to a winery and sample some of the regional wines, also learning how they are produced. 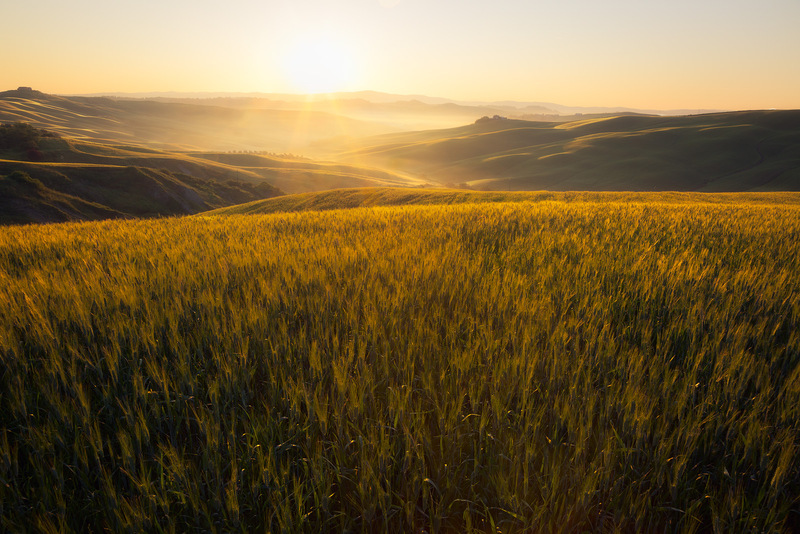 Overnight Val D'Orcia. Day 8 - October 22, Sunday (Tuscany) - After a final Tuscan sunrise shoot and breakfast, we head back to Florence, anticipating arrival by 2:00 pm. Depending on your flight home, you may need to stay a night (at your own expense) in the beautiful city of Florence and then fly home the following day. This photography tour is open to photographers of all skill levels. At minimum, you will want to be familiar with your camera's controls and understand the basics of composition. Bring lenses in the wide-angle through telephoto range. We will be teaching post-processing in Photoshop and Lightroom, so have your laptop with you. Bring enough memory cards... I suggest at least 60 gigs or more. Bring extra camera batteries and, as always, a tripod. We will distribute a more detailed list to participants well before the tour. Making your air arrangements - The group will meet for a welcome dinner at 6:00 PM at the lobby of our Florence hotel on Sunday, October 15th, 2017. Florence's airport code is FLR. For your return travel, we will be arriving in Florence on Sunday, October 22nd by 2:00 pm. If your preferred flight out of Florence is in the morning, then you can stay a night in beautiful Florence (at your own expense) and fly out the next day. This tour will have some easy to moderate walking up and down hills at a relatively slow pace. If you have certain physical limitations that you feel might present challenges, then please feel free to contact us to discuss these. Price Includes - 7 nights lodging based on double occupancy, all ground transportation by van and train, a welcome dinner, a farewell dinner, all breakfasts, entrance fees, all photo instruction, critiques on demand. Price Does Not Include - Everything not noted as included, airfare to and from Florence, all lunches, 5 dinners, alcohol, items of a personal nature.